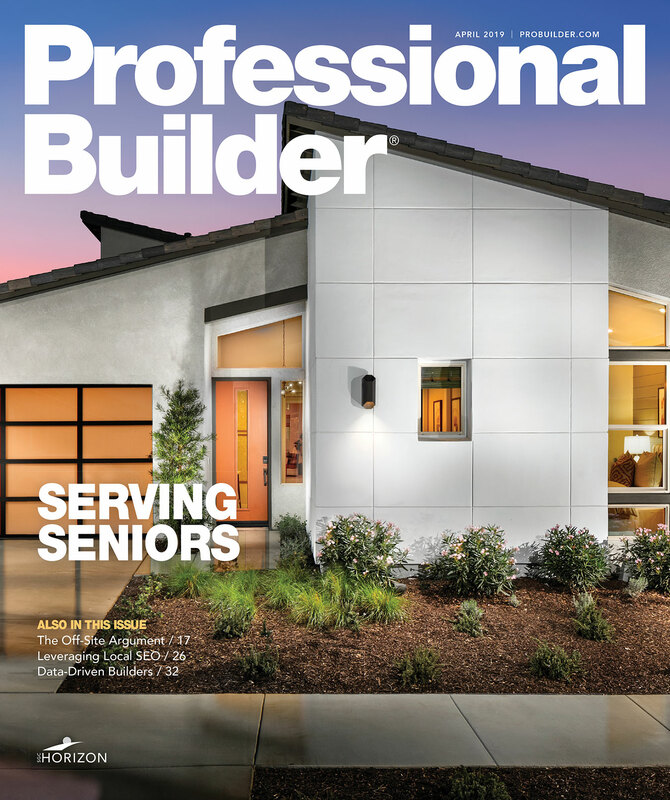 Armed with years of management improvements and a recession-busting attitude, Professional Builder’s Builder of the Year kept its focus on a diversified and value-rich product offering to emerge as one of the best-run builders in the business. From a national viewpoint, the home building industry in 2010 can be described as anything but vibrant. Then again, a national viewpoint obscures the relative strength of many smaller markets and submarkets around the country that have proven to be much more resilient than one might expect. Such is the case with the four markets in Southern Indiana and Western Kentucky where Jagoe Homes is the big builder in town. Those markets have provided just enough underlying strength to provide fertile ground for market-share gains by a home building company that seems to have been preparing for just such a moment to shine. This year, Jagoe will build and close 289 homes priced from the $110,000s on up to custom homes in the high $400,000s, generating $47.3 million in revenue while maintaining an average net margin better than industry benchmarks. Brothers Bill and Scott Jagoe, partners in Owensboro, Ky.-based Jagoe Homes, are an overnight success, 25 years in the making. Attending every International Builders’ Show since the 1970s when they worked for their father, they have consistently sought out best practices and invested in the best consulting advice available — from Lee Evans and Chuck Shinn to Fletcher Groves, Bob Schultz, and Scott Sedam. According to Sedam, who is a columnist for this magazine, it is the Jagoe’s unrelenting quest to improve along with their quick action on new initiatives that separates them from other builders with equal levels of ambition and drive. What also separates Bill and Scott Jagoe from other builders is their unwavering belief in the long-term viability of operating a building firm in the smaller markets where they started. Where others may have gone wobbly and bailed out for greener pastures, the Jagoes stayed the course and today are yielding the fruits of their high market share in communities that never experienced high growth and rapid price appreciation, but conversely have not fallen too far from peak levels. All through the boom years of the national housing market from 1994 to 2006, these fourth-generation builders continually invested in their business, assembling a team of key players and building a diversified range of capabilities piece by piece. Though production home building represents the lion’s share of their activity, the firm designs and builds luxury custom homes as well as homes on scattered sites. It is a full-service approach that is required for success in slow- and no-growth markets like Evansville, Ind., and Owensboro. While builders everywhere else also profited greatly from land appreciation during the housing boom, Jagoe Homes learned how to make money on their building operations, not land values. Cutting waste, getting cycle times down under 70 calendar days, and paying close attention to inventory turns, the company honed its core competencies and grew despite local market conditions. Their longtime market-study consultant Bob Seigel recently completed a report on each of the four markets where the firm builds homes, including relatively recent market additions, Bowling Green, Ky., and suburban Louisville. His opinion? The entire region has been in recession for over a decade. The financial turmoil that roiled global markets during the late summer and early fall of 2008 triggering the “great recession” had a particularly chilling effect on builders. For a while, at least, the Jagoe brothers were equally impacted. But after a few days, says Bill Jagoe, they began girding themselves to take an offensive, proactive approach going forward. First, they studied the prices for existing homes in each of the markets they serve. Then, having determined that they could profitably compete, they rolled back their prices to 2003 levels and began doing the unthinkable, increasing inventories. Increasing the specification levels of their homes has been a key to their successful recession-busting strategy. Jagoe Homes was able to accomplish this by vigorously adopting the principles of Lean building. Bill and Scott’s first cousin Brad Jagoe, vice president of operations since 2000, led the charge into Lean. Brad, who got started in the business working for a competing custom building firm, had read many books written on Lean prior to the start of the ’08 recession. (Prior to that, Brad had worked in the same lumber firm set up by the Jagoe’s great grandfather in 1907. See the sidebar “All in the Family” below.) When the recession hit, he, Bill, and Scott moved quickly to team up with Lean guru, Sedam. Within a few months, the firm was hosting the first of three “Lean Blitzes” with 24 of its key trade contractor partners in attendance. Mainly through ideas pitched by their trade partners, hundreds of thousands in annual savings were realized in terms of reduced material and labor costs. For example, their primary drywall contractor suggested that the company order drywall more precisely with specific room sizes in mind. As a result, the company optimized its drywall and room sizes. This suggestion alone reduced material waste and labor yielding annual savings of $70,000, says Jagoe. A good portion of those savings remained as value adds in their homes. In just two years, the firm has certified over 500 homes as Energy Star certified. Other value adds included a sodded lawn for every home sold. These extras, in turn, make a big difference when competing not only against other builders but also against an existing-home market experiencing falling prices and foreclosures. Another long-implemented move that left the company perfectly positioned to grow during the recession was its development of a web-based software that served internal and external processes. Beginning several years ago, the firm commissioned software engineers to build the software today they call Dynami Builder. It serves as the backend for nearly all of the company’s robust technology offering — from clients and potential customers who log onto the company’s website at night and begin searching models and options, to the 16 members of the sales staff who track the progress of their customers and prospects using it to the field staff and superintendents who regularly use it to keep the jobs on schedule. The goal in creating the software was that ambitious said Scott Jagoe. They wanted a customer-centric system where anybody in the company could check the status of a house, a community, or a market, in real time. Knowing that customers typically start their searches for a new home on the web, says Bill Jagoe, it was critical that Dynami Builder be capable of interfacing with customers and tracking their information as they spend time searching product on their website. Once registered, a client builds a profile about the size of home desired, their price range, and the communities where they are most likely to purchase a home. And, if a customer is inclined, they can begin to match house plans with available lots in specific communities. Their customer satisfaction numbers seem to reflect the added focus on their experience going through the home building process. In 14 of 16 communities in which they currently sell homes, says Scott Jagoe, 100 percent of their customers referred Jagoe Homes to a friend. Architectural innovation and customization backed by good technology and systems have been critical, he says. Toward that end, the company recently brought in designer Paul DiGiorgio to manage the company’s design department with the specific charge of revamping the company’s best-selling plans with a wider range of elevations and size configurations. In the process of implementing these changes, many of the new styles and floor plans have been grouped into design families that enable the company to be more efficient during the selections and production phases. The changes have helped the company be seen as a design leader and innovator, says Scott Jagoe. Offering new designs is a balancing act that involves appraised values and mortgage underwriting. Oftentimes, they find that customers are willing to pay a higher price for a more costly exterior elevation than mortgage bankers are willing to lend against based on the stingy appraisals that characterize today’s market throughout the country. This spring, the Jagoe executive management team consisting of three Jagoes; Chip Dormeier, vice president of marketing; David Crowe, vice president of sales; Paul DiGiorgio, vice president of design; and Robert Morris, custom builder, met to discuss life after the tax credit. They instinctively knew that home sales in May would dramatically fall off after the tax credit ended in April. The goal of their meeting was to come up with a marketing program that would bridge the gap between the tax-credit period and the weeks of adjustment that followed. It was Dormier who suggest a 50-day program where people could initiate a contract for $50 and receive a promise of a $50 cap on all utility bills during the first year of homeownership. With a marketing blitz across all four markets, traffic at its 16 communities remained strong enough through May and June that the company experienced very little fall-off when the tax-credit expired. The key to the program’s success, says sales VP Crowe, was the sense of urgency created by the looming deadline created by imposing a 50-day time period. When the program did end, the firm decided to re-up the program for another 50 days. “It has been hugely successful,” says Scott Jagoe. The company has not determined whether it will offer the program a third time after the program expires this month. Looking ahead to 2011, the focus remains the same. They are planning to boost their number of closings by 20 homes to 309, while continuing their efforts to be leaner and more efficient. One thing for certain, both Bill and Scott Jagoe are seeing more deals against a backdrop of fewer competitors and with good banking relationships to act on them as quickly as they can. “The way I look at our business going forward with where we are set up and the processes we have in place, I see lots of opportunity,” says Bill Jagoe. “I started in the business in 1982, and I see more opportunity in the current market than there has ever been in the last 28 years.” Scott Jagoe agreed. Location: Owensboro, Ky., with additional operations in Evansville, Ind., Bowling Green, Ky., Henderson, Ky., and suburban Louisville. Bill and Scott Jagoe grew up in the home building business. Their father, Bill Jagoe, Sr., founded Jagoe Homes and Construction in 1958. He operated the building portion of that business until 1985, when his sons, still in their 20s, opened their own company Jagoe Homes. From there, Bill Jagoe, Sr., continued on as a developer, selling lots to his sons and other builders in the area. “He raised two customers,” says the younger Bill Jagoe, smiling. But the family’s roots in building in Western Kentucky go much further back. Their great grandfather launched a lumber finishing business on the southern bank of the Ohio River in 1907. Daviess County Planing Mill was family owned and operated until the mid-1990s. Their cousin Brad Jagoe, now VP of Operations for Jagoe Homes, helped run this business for several years before its closing. Bill Sr.’s father, Carlos, was the first real home builder in the family. In the 1930s, he started the family’s first home building operation. Bill and Scott proudly tell the Jagoe family story today and include it on their website. But there are reminders all around them. They see the homes their family built in Owensboro and Henderson, where a Jagoe Street runs through town. 2007 - Company acquires local rival Bill Jones Master Builder along with land positions in Lake Forest development near Owensboro. 2009 - Company initiates 50-50-50 marketing program to counteract the ending of the 8,000 home buyer tax credit.